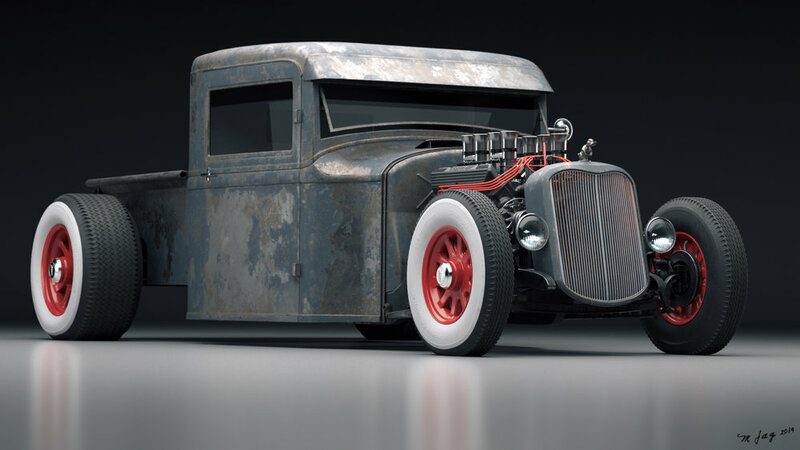 I started this project sometime ago with an idea to create an old Ford Ratrod Truck in a style that I wouldn't mind driving. Throughout this project, I used Modo for modeling, Substance Painter for texturing the truck, Houdini with Megascans bridge app for the foreground items. Most of the assets had some minor color corrections to enable them to blend into the scene a bit better. Exterior shot was rendered using redshift for Houdini. Also exported to Fusion for some minor color adjustments.